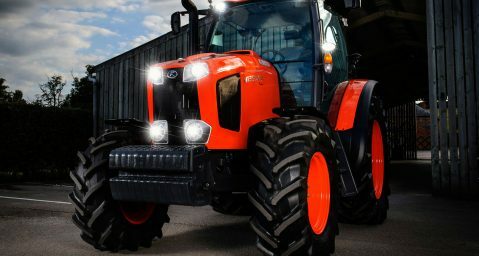 Kubota UK is making a major announcement at this year’s Royal Highland Show that will see the agricultural machinery manufacturer significantly strengthen its presence across Scotland. The company is joining forces with A M PHILLIP Agritech Ltd, one of Scotland’s leading suppliers of farming solutions, in an exciting new partnership that further expands Kubota UK’s agricultural dealer network. The deal now means Kubota’s full range of agricultural solutions will be available to farmers and contractors from three of A M PHILLIP Agritech’s depots – Conon Bridge, Perth and Glenrothes. 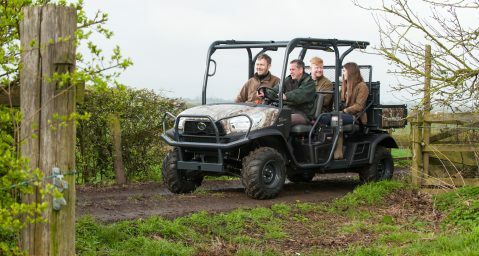 This includes Kubota’s M7001 Series, M5001 Series, MGX-III Series and the L Series, along with the company’s market leading RTV utility vehicles and Kubota grassland implements. 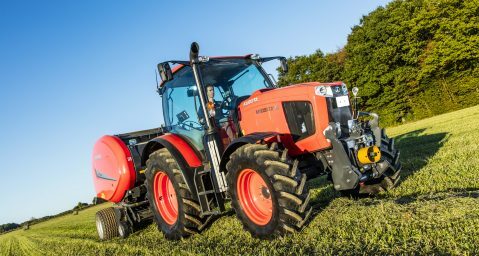 Rob Edwards, Business Development Manager for Kubota UK’s agricultural division, commented: “This is an important announcement that further highlights Kubota’s commitment to the UK agricultural industry. Already this year, we have strengthened and enhanced our network with appointments like Battlefield Machinery and Lister Machinery, but that’s just the start and there’s much more to come. A M PHILLIP Agritech Ltd has been serving the Scottish farming market since 1955, with six branches across the North and East of the country. With 110 staff, the company has built up an excellent reputation for providing a friendly, reliable and excellent service to its customers. “A M PHILLIP Agritech is an highly respected machinery dealer in the North and East of Scotland and we are delighted to be teaming up with them,” continued Rob. A M PHILLIP has a long relationship with the Kubota brand, with Gammies Groundcare (a division within A M PHILLIP), being the independent dealer for Kubota’s market leading groundcare equipment for decades. Andrew Connon, Dealer Principal at A M PHILLIP Agritech, said: “By working in partnership with Kubota UK, we are determined to make an impact on the Scottish farming sector. Already, there has been huge interest from our customers in the Kubota brand and a lot of people requesting demonstrations. Farmers have an acceptance that with Kubota they will get a quality and reliable product that is easy to use and won’t let them down, time and again. Kubota UK is helping its customers gear up for winter with the launch of its new ‘Vision’ campaign. Kubota, leading machinery manufacturer launches MGX-III tractor range boasting machines from 90 to 140HP. Visitors to this year’s Royal Welsh Show will have the chance to see all the latest machinery from Kubota UK.